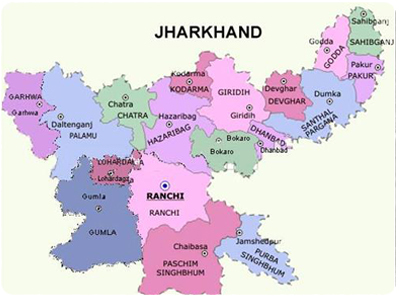 Situated in the eastern part of India, the landlocked state of Jharkhand is bounded by Bihar in the north, West Bengal in the east, Uttar Pradesh and Chhattisgarh in the west and Odisha in the south. More than 29 per cent of Jharkhand’s area is enclosed by forest which sustain a thriving bio-diversity, National parks and wildlife sanctuary located throughout the state are devoted to the preservation of wildlife and natural resources. Situated at an altitude of 1366 m Parasnath is the highest point in Jharkhand. Jharkhand enjoys a moderate climate. Winter in the state generally lasts from November to February. Winter is followed by spring which continues till the middle of April. May is the hottest month. The period from June to August is marked by heavy rains. The average rainfall of the state is 1200 mm to 1300 mm. 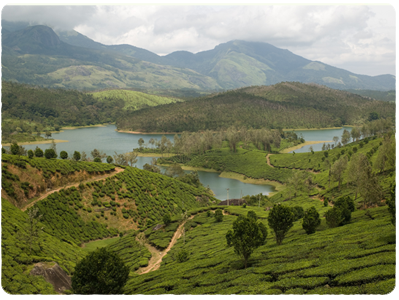 The state’s soil and climatic conditions are conducive for the cultivation of mushrooms, ornamental plants, spices and tea. Jharkhand has diverse range of soil types: red, micacious, sand, black and laterite. 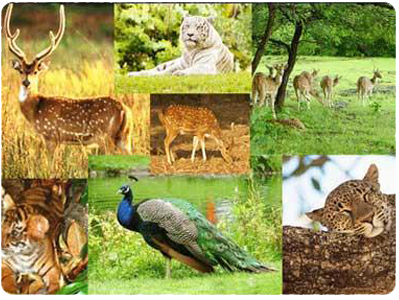 Jharkhand holds a large and varied flora and fauna populations. The state is home to Palamau National Park, Dalma Wildlife Sanctuary and Hazaribagh National Park that are natural habitat for various plant and animal species.